As I mentioned in yesterday’s post, I’m attempting to make it through the 30-day challenge of June by posting each day about a blog that inspires me. 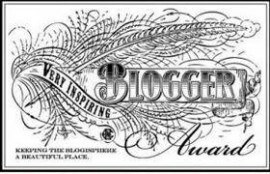 Having been nominated as a Very Inspiring Blogger myself, I’m supposed to nominate 15 others. Since I have 29 days, that will allow me to branch out a bit. One of the most difficult issues with nominating others is that—all too often—they’ve already inspired (and been nominated by) someone else. That is certainly true of my first nominee: Writer Mummy, The Musings of Author Amanda Martin. I believe Amanda is from Australiathe U.K. (thanks, Amanda for the correction), and she writes about parenting and the writing process. 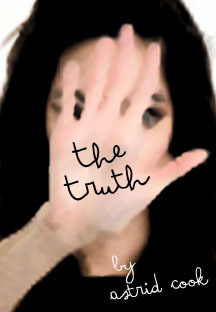 What I find most inspiring about her is that she adds fiction daily to each of her regular blog posts. She began this at the start of the year, and I don’t think she’s missed any days thus far. At 365 x 365, Amanda will have over 130,000 words in a year! Depending on your genre, that’s as much as two full novels in one year. What an amazing achievement. I invite you to check her out yourself. It’s like the story of the person who saves a penny, the amount doubling every day. At the end of a month, you’ll have $10 million. Of course, words aren’t pennies, but Amanda is a fabulous example of a busy person (two young children) who manages to discipline herself to do “just a little” consistently each day. Of course, as is pretty typical for a writer, she frequently writes far more than those 365 words. Once you get going, it’s not that hard to go from Amanda’s goal of 365 to King’s goal of 1,500. It’s that daily effort that makes all the difference. The best part is she’s sharing all that work with the public (free literature!). She makes me want to follow her lead, and that’s as inspiring as it gets. Tags: 30-day Challenge, Parenting, postaday, Very Inspiring Blogger Award. Bookmark the permalink.